Fontaine Insurance Services is a full-service independent insurance agency, founded by its principal, Patrick Fontaine. 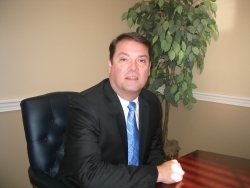 With over 15 years experience in the insurance industry, Patrick realizes that protecting your assets at the most cost-effective price is paramount. This objective is accomplished by utilizing a number of top-rated insurance companies to create a portfolio of insurance policies for your home, auto and business that are the best mix for your individual needs. Fontaine Insurance Services will provide prompt, courteous service, from quoting to claims. If you experience a loss, they will guide you through the claims process, explaining coverages, and making certain that your interests are protected. Fontaine Insurance Services is a Certified Member of SIAA. Strategic Insurance Agency Alliance (SIAA) is a multi-billion premium dollar national insurance agency alliance that combines the strength of over 4,000 signed independent agents. Membership in SIAA allows us national marketplace access for nearly any type of insurance while remaining a home-town, local insurance agency.